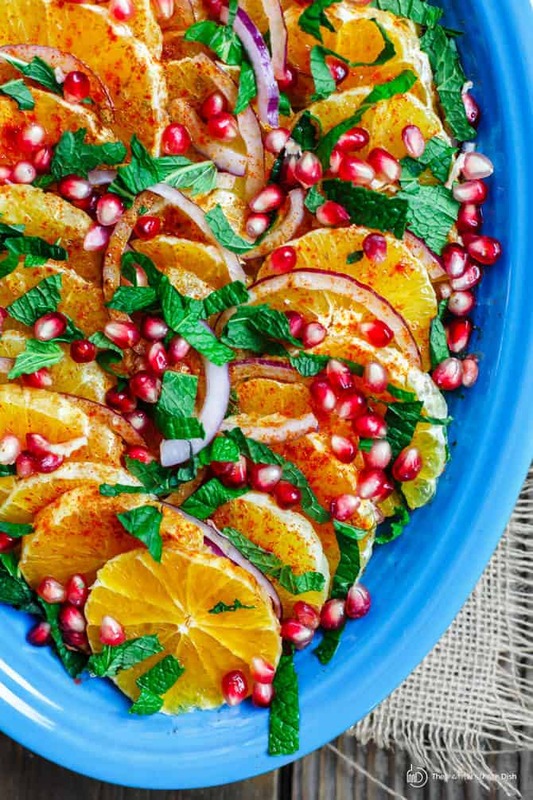 This Mediterranean Orange and Pomegranate Salad Recipe is a new favorite here on the blog. Slices of sweet Navel oranges are given a lift with the addition of pomegranate seeds (arils), fresh mint, and a honeyed lime dressing. A festive and light addition to any dinner! 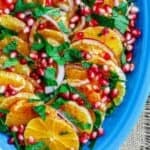 There are probably a dozen or so variations of this Mediterranean orange and pomegranate salad recipe. 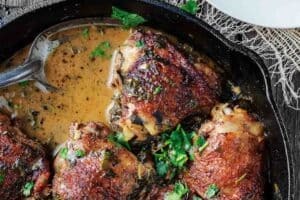 This recipe is closest to one you would see in North Africa; places like Morocco, Tunisia or Egypt. 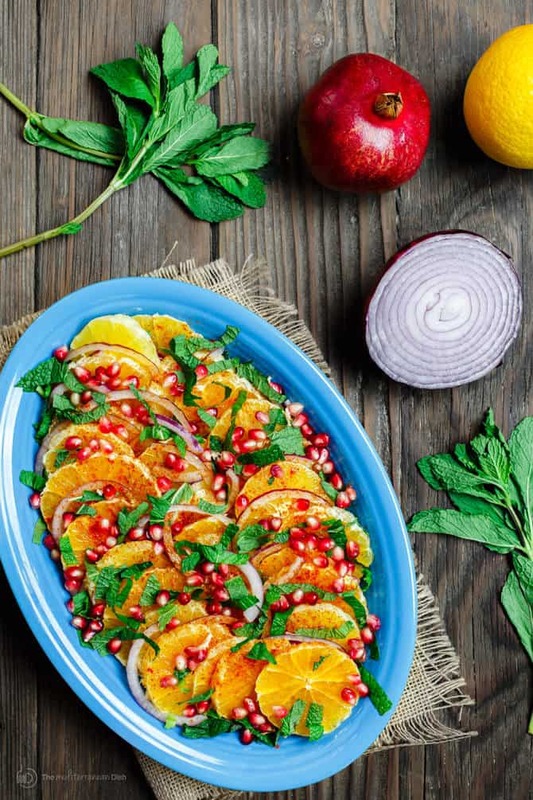 Only three ingredients are required to put together this refreshing, festive salad: oranges–I like sweet Navel oranges, pomegranate seeds (or arils) and red onions. There is a trick to taming the pungent red onions; simply soak them in iced water for a few minutes before using in the salad. That way, you still get that great crunch, but a much mellowed flavor–just enough to compliment the sweetness of the oranges in this orange pomegranate salad. A generous sprinkle of fresh mint and a honeyed lime dressing finish this salad. I like to use a little orange blossom water in the dressing for added festive aroma. This salad works great to finish a heavy holiday meal. Or next to grilled meat, chicken or fish. Make the dressing. In a small bowl, mix together the lime juice, olive oil, honey and orange blossom water. Set aside. Place the sliced onions in a bowl of ice cold water. Set aside for 5-10 minutes, then remove the onions from the water and dry them completely. Prepare a serving platter. Sprinkle half the amount of chopped mint leaves on the platter, then arrange the orange slices and onions on top. Sprinkle a pinch of salt, sweet paprika, and cinnamon. Now spread the pomegranate seeds on top. Finally top the salad with the remaining fresh mint leaves. Set aside for 5 minutes or so before serving. My husband and I love this salad…it’s so easy to prepare and beautiful to look at. Plus, it is delicious! We used to be vegan, but now enjoy cheese and seafood on a weekly basis. 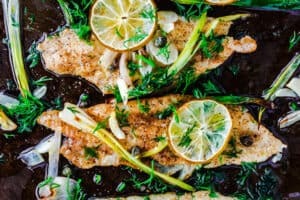 I love the recipes from your site….they are so tasty, easy to prepare and healthy. A few of my favorites are: baela, israeli couscous salad, baked shrimp with veggies, ricotta cake!!! !, baked spaghetti, spinach and lentil soup and shrimp orzo soup. Marti, thank you so much for taking the time to share! I’m glad to hear you’re enjoying a number of the recipes here!! Happy cooking! I’ve prepared twice and both times were a big hit. I followed recipe step by step. Except I substituted mandarin oranges because easier to peel. When sliced they made pretty floral segments. Next attempt, I plan to use more mint and let the salad dressing and fruit marinate longer before serving. Wonderful, Margarita! Thanks for giving it a try! We enjoyed this salad this past Thanksgiving! 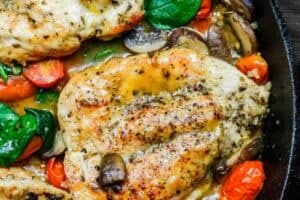 I am vegetarian and my mother saw this recipe and prepared it for me! This is quite simply one of the best flavor combinations…. at first I was skeptical about the onions but I could literally eat this all day! 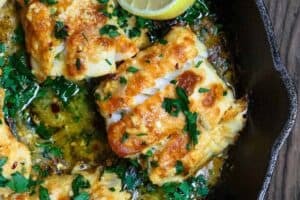 The flavors of the sweet oranges, tangy poms, and peppery onions with the drizzle are amazing. Wonderful, Chantal! You’ve come to the right place! 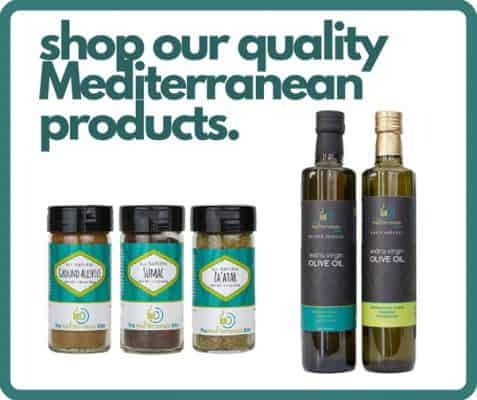 Welcome to The Mediterranean Dish. I made this for Thanksgiving and it was a huge hit. Everyone loved the freshness and that it balanced out all the carb overload. Will definitely make it again. Think it would be delicious next to grilled lamb. 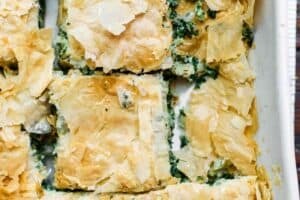 I think it would be wonderful with a little fresh feta. Oh Martha, this is great to hear! I am so so glad you gave this one a try! You’re right, it would go wonderfully with grilled lamb. I’m gonna try that soon! The dish looks so inviting and delicious! Thank you! Carols! It is. And so embarrassingly easy! This salad looks simply amazing. Simple and delicious, the best kind of food!